Abruzzo, land of endless delights, land of NEOLE, SCLUCCHIATA, CANTUCCI, AMARETTI MORBIDI E CROCCANTI. Typical pastries of Abruzzo, tasty in every part of the day, recipes that are handed down from mother to daughter and still nowadays made according to the oldest tradition, flavours of the past which cannot and must not be forgotten. In the morning of feast days an irresistible perfume spreads among the alleys of the small villages of Abruzzo: the one of the torta abruzzese, a type of yellow-coloured bread (due to the abundant use of eggs), particularly soft and light, with a sweet and savoury taste at the same time. Rustichella d’Abruzzo proposes this savoury cake in its own version: cherry tomatoes and Pecorino cheese. Obtained from a slow leavening with sourdough, the Panettone Salato wants to pay homage to the cake of Abruzzo, enriched with typical traditional ingredients: we added dried cherry tomatoes, aged Pecorino cheese and poppy seeds to the light and leavened dough. The taste of this cake will remind you of the transhumance and the perfume of the grassy fields and sheep tracks of Abruzzo. 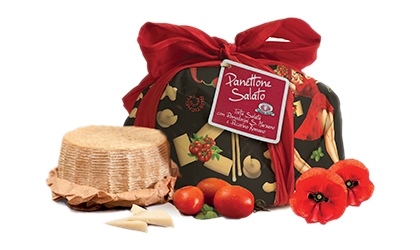 From finger food tables to buffets, the Panettone Salato is an appealing item to serve with salami and cheeses, perfect for young red wine tasting, excellent to combine with a good glass o Prosecco. 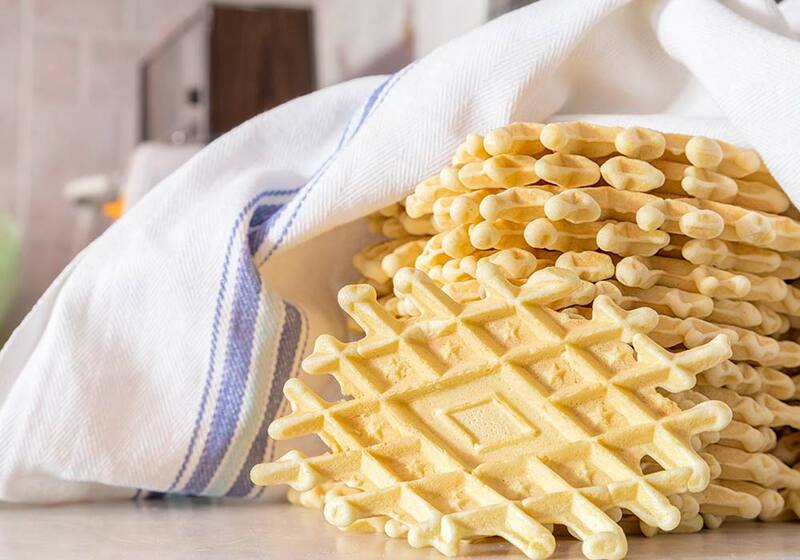 Rustichella d’Abruzzo proposes to its estimators the Pan Strozzo, an authentic traditional Abruzzo cake made exclusively with top quality natural ingredients. The shape of this artisan confectionery product looks like a small cupola, inspired by the types of bread carried by the shepherds of Abruzzo during the transhumance of flocks. The original recipe dates back to the 14th century and has been enriched by Rustichella d’Abruzzo with Dottati dried figs (variety of figs originally from Southern Italy) added to the precious dough of fresh eggs, flour, minced almonds, honey and dried figs, covered with delicious and refined dark chocolate, with a unique scent, flavour and taste. Rustichella d’Abruzzo Pan Strozzo will sure be the biggest surprise for every special occasion, excellent to be served at the end of a meal or with a cup of hot chocolate or tea. 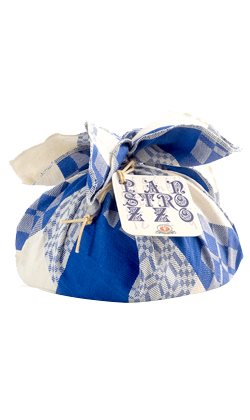 The packaging is a traditional canovaccio abruzzese (typical cloth of Abruzzo), available in blue, dark green, light green, red, yellow and orange version. 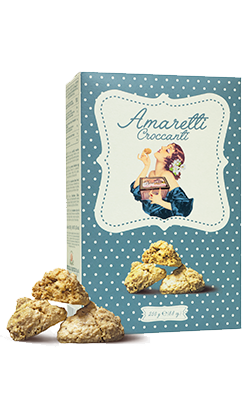 Amaretti are traditional handmade biscuits with sweet and bitter almonds, sugar and albumen. The recipe proposd by Rustichella d’Abruzzo is the typical one from Loreto Aprutino (one of the most fascinating old medieval villages in Abruzzo), in the soft version. They are excellent to be served with a cup of tea and eaten in special occasions. Its refined packaging can be created only by those who have a great passion for tradition. 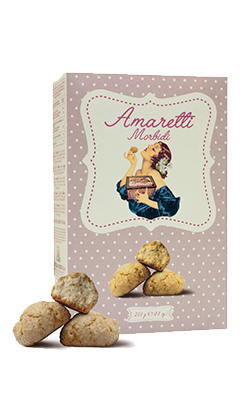 Amaretti are traditional handmade biscuits with sweet and bitter almonds, sugar and albumen. The recipe proposed by Rustichella d’Abruzzo is the typical one from Loreto Aprutino (one of the most fascinating old medieval villages in Abruzzo), in the crispy version. They are excellent to be served with a cup of tea and eaten in the important occasions. Its refined packaging can be created only by those who have a great passion for tradition. Typical pastry from Abruzzo and spread in Central Italy, it is made with a simple dough of flour, almonds, eggs and sugar, kneaded in order to obtain a soft long-shaped dough which is cut up in slices after the first cooking and then baked again until it becomes a fragrant, tasty and perfumed biscuit. 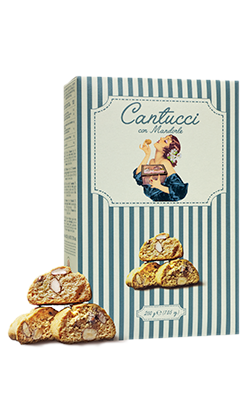 Cantucci have the same consistency of a biscuit because, originally, farro and almond flour was used. The appealing look of Cantucci d’Abruzzo makes them perfect to be soaked in the traditional vino cotto from Abruzzo or to be served with a cup of coffee. Its refined packaging can be created only by those who have a great passion for tradition. Typical pastry from Abruzzo made with a production process that has not changed over the centuries, which involves the use of ferro for cooking, an essential double-slabbed and slightly hollow tool, which gives the Neole their peculiar rhombus-shaped look. Every family used to have a ferro and, as a proof of its importance, it was part of the bride’s inventory. In many cases, the central part of this tool had the family’s coat of arms, therefore when the bride was giving her Neole, the coat of arms of her own ferro represented a proper signature. Nowadays, there are plenty of versions of this speciality, even though they must traditionally be crispy, thin and with anise seeds, just the way Rustichella d’Abruzzo proposes it. According to tradition, cooking time must equal the duration of the Ave Maria on one side and the Lord’s Prayer on the other. 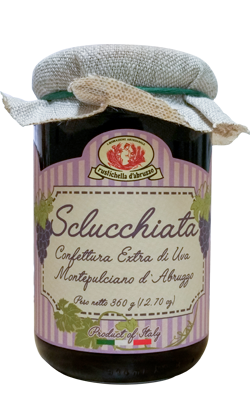 You can try it with a bit of powdered sugar and cinnamon or stuffed with Rustichella “Sclucchiata di uva Montepulciano d’Abruzzo”. . Its refined packaging can be created only by those who have a great passion for tradition. 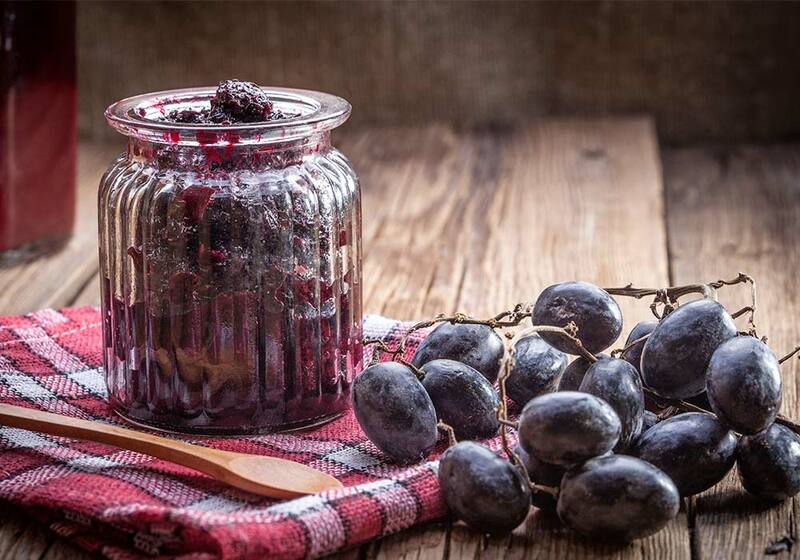 Sclucchiata is a traditional jam produced by Rustichella d’Abruzzo with more than 85% of Montepulciano d’Abruzzo grapes. The final product is absolutely natural and keeps the taste and fragrance of this typical variety of grapes from Abruzzo. Traditionally, it is prepared by squashing the grapes by hand, hence its name ‘Sclucchiata’ or ‘Scrucchiata’ (meaning “cracked” or “squashed” in Italian). The lovers of folkloristic traditions and the gluttons can try it with a tea spoon, or you can use it as filling for Rustichella d’Abruzzo Neole, with a bit of cinnamon and powdered sugar. 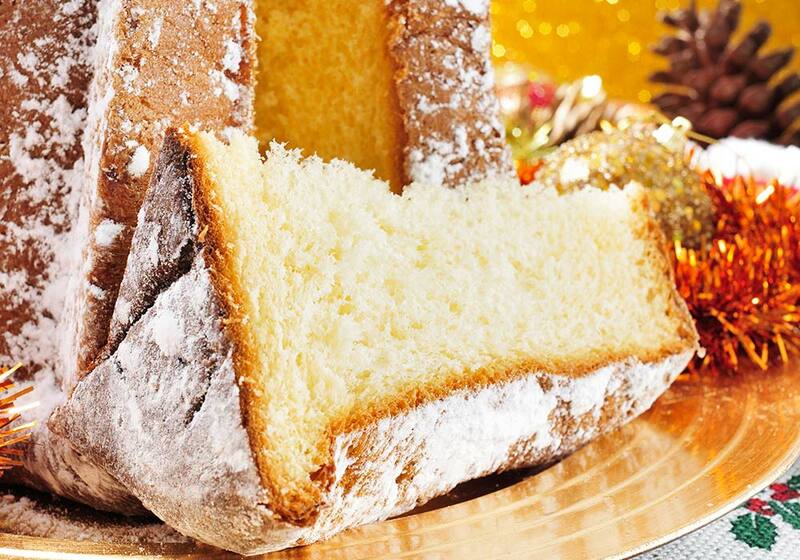 Rustichella d’Abruzzo wants to enhance the Panettone following the true Italian gastronomic tradition, not only at Christmas time, rather for the whole year. 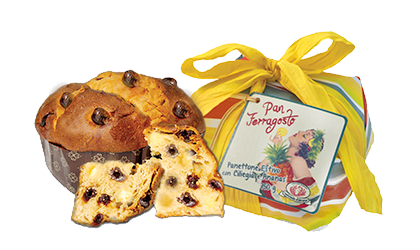 This is why we created the Panferragosto, a fresh and summer version enriched with pieces of pineapple and cherries. The tastiest and freshest summer fruits personalize the Panferragosto for a light and fruit-flavoured cake. There is no way you can resist the temptation of tasting it under the sea umbrella together with family or friends, as a base for a fresh fruit icecream. Rustichella d’Abruzzo proposes to you, estimator of the taste, the Panettone Classico, typical cake of the Italian confectionery tradition. Soft and fragrant, rich in perfumed candied fruits and delicious raisins. Our special ingredient to create a top quality artisan Panettone is the precious Pasta Madre, a soft and natural sourdough obtained through water and flour leavening which is then mixed with water, flour, sugar and eggs. This dough is first leavened for at least two hours, and then kneaded and leavened with the same methods for other two times, until it is ready for cooking. 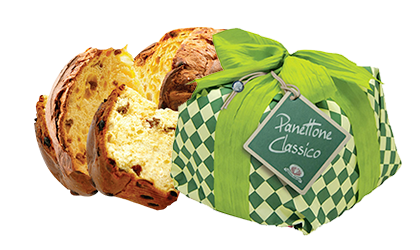 The final result is a very soft and perfumed Panettone that glorifies the senses of smell and taste. Before serving, it is even better if heated up for 5 minutes in the oven. 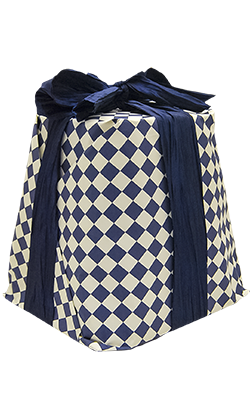 Packed by hand, it has an elegant wrapping which gives this speciality a touch of refinement. Rustichella d’Abruzzo proposes to you, estimator of the taste, the Panettone all’Amarena, a variation of the classic Panettone with a filling of soft and delicate black cherries. Our special ingredient to create a top quality artisan Panettone is the precious Pasta Madre, a soft and natural sourdough obtained through water and flour leavening which is then mixed with water, flour, sugar and eggs. This dough is first leavened for at least two hours, and then kneaded and leavened with the same methods for other two times, until it is ready for cooking. 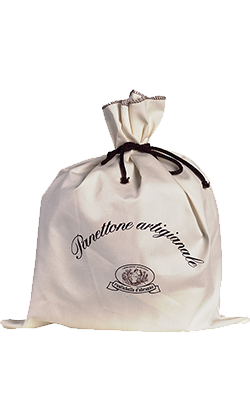 The result is a very soft and perfumed Panettone that glorifies the senses of smell and taste. Before serving, it is even better if heated up for 5 minutes in the oven. Packed by hand, it has an elegant wrapping which gives this speciality a touch of refinement. 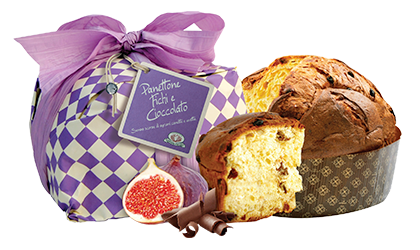 For the first-rate palates, Rustichella d’Abruzzo proposes the Panettone con Fichi e Cioccolato (with Figs and Chocolate). 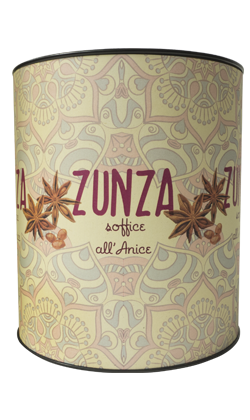 The dough is enriched with delicious chocolate drops and Dottati dried figs from Cosenza. Our special ingredient to create a top quality artisan Panettone is the precious Pasta Madre, a soft and natural sourdough obtained through water and flour leavening which is then mixed with water, flour, sugar and eggs. This dough is first leavened for at least two hours, and then kneaded and leavened with the same methods for other two times, until it is ready for cooking. 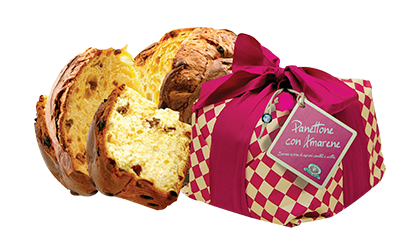 The result is a very soft and perfumed Panettone that glorifies the senses of smell and taste. Before serving, it is even better if heated up for 5 minutes in the oven. Packed by hand, it has an elegant wrapping which gives this speciality a touch of refinement. 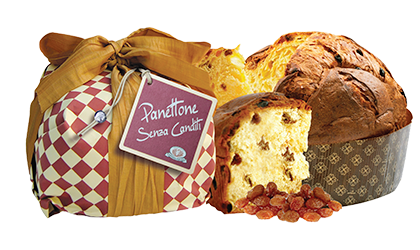 For those who do not like candied fruits, Rustichella d’Abruzzo propopses a version of Panettone with only perfumed raisins. Our special ingredient to create a top quality artisan Panettone is the precious Pasta Madre, a soft and natural sourdough obtained through water and flour leavening which is then mixed with water, flour, sugar and eggs. This dough is first leavened for at least two hours, and then kneaded and leavened with the same methods for other two times, until it is ready for cooking. 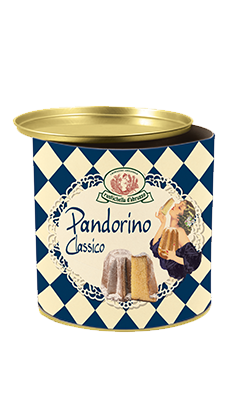 The result is a very soft and perfumed Panettone that glorifies the senses of smell and taste. Before serving, it is even better if heated up for 5 minutes in the oven. Packed by hand, it has an elegant wrapping which gives this speciality a touch of refinement. Rustichella d’Abruzzo Panettone Classico is presented in a unique version. An elegant fabric wrapping that turns this confectionery speciality into an exclusive gift for friends and relatives. 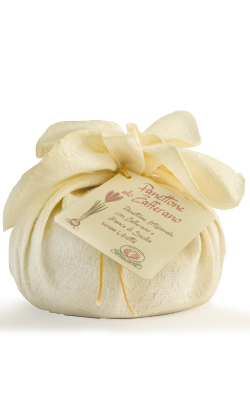 Rustichella d’Abruzzo Panettone allo Zafferano is produced following the Italian artisan confectionery tradition, with top quality ingredients: fresh eggs, saffron, candied Sicilian orange zest, natural yeast and a big amount of passion. Embellished by a pure cotton and linen cloth with a typical Abruzzo weave and made in an old artisan lab in Taranta Peligna (Chieti), which used to make the Tarantina back in 1870, an ancient fabric used for the production of uniforms during the Bourbon Kingdom. The classic cake par excellence of the Christmas artisan confectionery tradition. Its star-shaped look, the vanilla scent and the softness of the dough make it the most appreciated Christmas pastry. 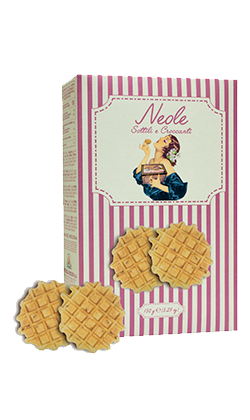 A product of top quality confectionery that comes from the strict respect of the precious dough leavening time. Packed by hand, it has an elegant wrapping which gives this speciality a touch of refinement. All the softness of the typical Christmas cake in a tiny version. A little moment of pleasure and top quality ingredients for a cake that has a unique taste, loved by grown-ups and especially children. 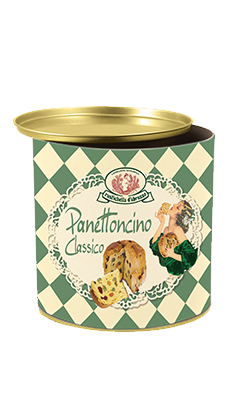 All the goodness of Rustichella d’Abruzzo artisan classic Panettone in a tiny version. Its shape is small, but the quality of the ingredients remains high, for a cake that has a unique taste, loved by grown-ups and especially children. 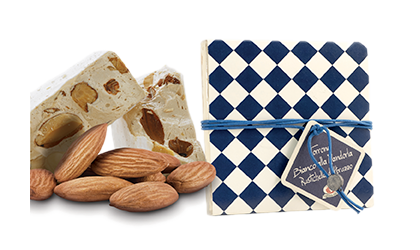 All the uniqueness of the crispy Torrone Bianco, enriched with top quality very sweet toasted almonds. Rustichella d’Abruzzo Torrone is prepared following a process which is still manual (90%) and lasts up to 7-8 hours. Packed by hand, it has an elegant wrapping which gives this speciality a touch of refinement. Rustichella d’Abruzzo Torrone Morbido al Cioccolato is a gift for all those who love “soft” cakes and do not want to give up on intense tastes. 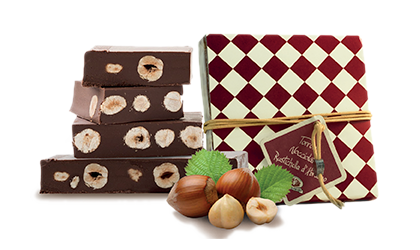 Prepared with delicious hazelnuts and refined dark chocolate, this artisan speciality comes from the skillful combination of few precious ingredients. Packed by hand, it has an elegant wrapping which gives this speciality a touch of refinement. 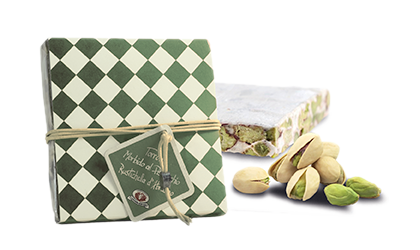 Rustichella d’Abruzzo Torrone Morbido a Pistacchio is produced following the rules of the old Sicilian artisan tradition. 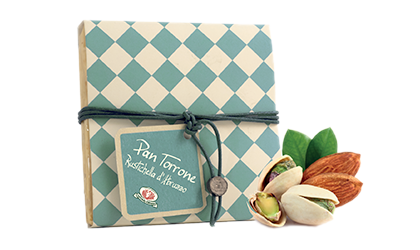 This unique handmade Torrone was born nearly 200 years ago, enriched with delicious top quality pistachios. . Its refined packaging can be created only by those who have a great passion for tradition. 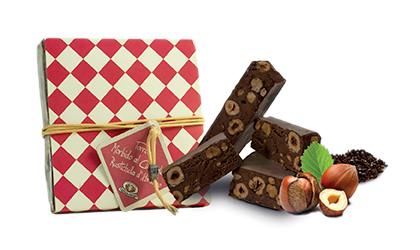 Made with simple and genuine ingredients, Rustichella d’Abruzzo Torrone Nocciolato enhances the quality and taste of the best gianduia milk chocolate and the delicious toasted hazelnuts, which melt together in order to create a speciality with a unique taste. Skillfully prepared following the old artisan method, Rustichella d’Abruzzo Nocciolato satisfies and conquers even the most demanding palates. Packed by hand, it has an elegant wrapping which gives this speciality a touch of refinement. 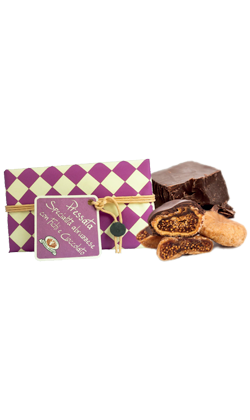 Rustichella d’Abruzzo enriches its confectionery range with an excellent product, Pressata di Fichi “Dottati”, made with Dottati figs with a thin pale-coloured skin and a sweet taste similar to honey. This old variety of figs, which was described by Plinio il Vecchio as “the best one to dry”, is the main ingredient of this regional speciality. After being baked in oven, they are worked with cocoa powder, minced nuts, cinnamon, candied fruits (orange, citron, lemon and mandarin) and Rum-aromatised. Perfect to taste at the end of a meal with relatives and friends, Pressata di Fichi is a really peculiar pastry, excellent for surprising your guests and making them taste something really unique. Rustichella d’Abruzzo Pan Torrone is a typical Christmas confectionery speciality, characterised by a typically artisan production, which starts from the selection of top quality raw materials kneaded following the traditional techniques. A Torrone made with honey, almonds and pistachios, filled with a soft sponge cake soaked with the liqueur Genepì made of “Artemisia Umbelliformi”, a 15cm velvet white and strong-perfumed short plant, which grows on cliffs and rocky terrains in the highest peaks of the Appennins in Abruzzo. Pan Torrone is an excellent cake to taste at Christmas together with the loved ones, or to give as a gift in every occasion to taste the oldest confectionery tradition in Abruzzo. Rustichella d'Abruzzo celebrates Easter with its own exclusive and elegant version of the colomba (typical Italian Easter cake): Gioiello, made with a soft Ofella dough without candied fruits and the sugar and almond crumbs on top. Instead, it has a cover of the finest white chocolate. 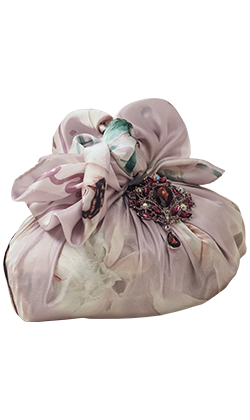 The elegant decorative silky foulard and the jewel pin give an exclusive and unique look to this confectionery speciality by Rustichella d’Abruzzo. The colomba Gioiello is an exclusive proposal to taste in family and is perfect for an original Easter gift. Available in pink, yellow and light blue package. Typical Easter confectionery speciality, symbol of peace and purity, the colomba is a naturally leavened cake, enriched with candied fruits and a crispy coating of glaze and almonds. Originally from Northern Italy, well known and loved throughout all Italy, the colomba is the delicious dessert that ends an Easter lunch with family, soft and perfumed from the very first taste. Made with a soft “Pasta Madre” (sourdough) obtained through a controlled artisan production process, in order to have its natural leavening, Rustichella d’Abruzzo colomba is presented with a pink, yellow or light blue flower-themed package, warm-looking and appealing, with really unique fragrance, lightness and taste.